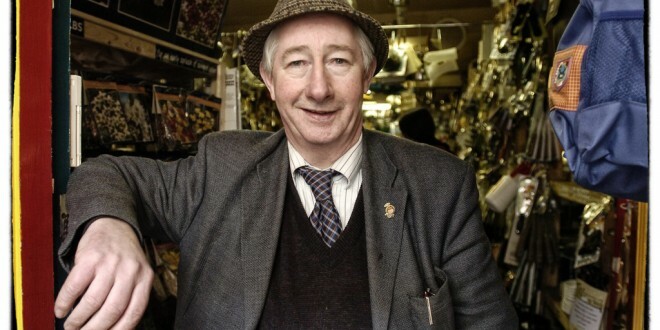 THE death has taken place of well-known and popular Ennis businessman, Jimmy Brohan. Mr Brohan’s shop in Parnell Street is an institution, preserving an old world charm at a time when the hardware business has extended into superstores. The traditional shopfront exudes character, with implements displayed on the footpath of the pedestrianised street. In fact, this has proven to be a great local tourist attraction and often photographed. If ever the phrase “from a needle to an anchor” applied, it is to be what can be found in Brohan’s. If it couldn’t be sourced there, it would be a rare commodity indeed, and he would point you in the right direction. Mr Brohan had operated in a premises farther up Parnell Street but moved to the current location a number of years back. While under new management in recent times, Jimmy still remained a central figure in the shop, along with members of his family. Jimmy was on first name terms with his customers from far and near, most of whom simply enjoyed stepping back in time when they passed through the door. He will be missed as one of Ennis’ great characters.